In societies where the majority of people would call themselves Christian, many prevailing beliefs originate from distorted understandings of the Bible. 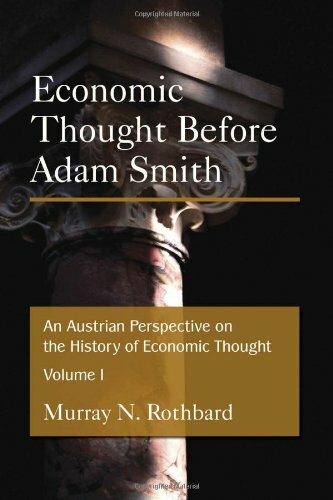 In his two book series entitled "An Austrian Perspective on the History of Economic Thought", Murray Rothbard chronicles the ebb and flow of freedom within Christianity. One of the most interesting sections is chapter 9 in book 2, which covers the rise of communism and its origins in corrupted Messianic Christian doctrine. Also, be sure not to miss the appalling story of the "Christian" communist "King Bockelson" in book 1 (section 5.6). It is by no means all negative, but the historical record in these books would shock the average Christian, were it known. Time and again, leaders have misused Christian teaching and always, it seems, the basis is the same: That the authority or Kingdom of God must be imposed by force through an earthly kingdom or government. Each variation on this theme merely adjusts the law of the State — it never questions whether such a government is necessary. In each case, the Kingdom of God is considered inclusive of, or inextricably linked to, an earthly system of government. "Powers that be" must simply enforce a more correct doctrine. Years ago, I called myself a "Christian conservative" — albeit with libertarian leanings. But I was always scratching my head, wondering why Jesus never advocated any particular regulations or any particular form of government. So, I just presumed that meant we were to make our own up and impose right behaviour and general principles of the Bible through "godly" government. I was not alone. It is true to say that the prevailing doctrine today — amongst Christians both left and right — is that government is ordained of God and destined to be alongside the church as the arm and voice of God in the earth. Therefore, it follows that the State has special privilege and moral exemption. That it has a divine right to formulate laws of the land, and to punish those who do not comply. Any misgivings about the "divine right of kings" have been superseded by a supposed moral legitimacy bestowed by an electoral majority (Hitler being a brief glitch). But this is a way of believing that government is another god — a false deity. What are the characteristics of a false god? A "power" that orders and directs the lives of its believers. A power believed to protect, rescue and save. A power believed to offer hope. A power believed to be great, glorious and overwhelming — whether good, evil or ambiguous. A power believed to demand service above all else, even the lives of its followers. A power believed to be fearful, violent and destructive when disobeyed. A power with a strong visible presence — symbols, buildings, and temples of indoctrination. A power maintained by a hierarchical, self-serving priesthood, obscuring the truth with blind faith. Such is exactly the case with the modern State and its flag worship, grand public buildings, monopolised education system, violent enforcers, and cloud of paid officials, experts and politicians. Suppose, for example, a father told his son to go out and steal. No Christian would advocate obedience. But when it comes to the State taking as much as it wants, by violent enforcers, many Christian leaders believe it has the power of deity and must be obeyed. Suppose a father told his son to kill someone who refused to obey the father, or refused to pay a fee. Or, suppose he told the son to go and kill someone in another country. No Christian would support that. But they will salute those who do it for the State and shrug it off when the innocent die. The authority of a father or mother, though ordained by God — including within the Ten Commandments — is clearly understood to be limited by the other laws of God. But the State was never ordained by God, it has no part in creation or redemption, and has only implicit condemnation in the first and the second of the Ten Commandments. Its very existence and idolatrous nature is explicitly condemned in a whole, detailed chapter: 1 Samuel 8 (e.g. 7–8) and then again in 1 Samuel 12 (e.g. 17). On top of this, the wilderness temptation of Jesus included the acknowledgement that all States belong to Satan. Jesus passed this test, but how many Christians are bowing down for power? Thankfully, some do understand that demonic "principalities and powers" are inextricably linked to their earthly counterparts. What is more, the State cannot even exist without exempting itself from moral laws against violence, theft and murder. Every rule it makes is backed by violence against those who refuse to obey. Every action it takes is made possible only by theft as, unlike the father of a family, it produces nothing. The family is the only God-ordained form of "government", the only proper institution of provision and protection for dependants. It stands in direct opposition to the State, particularly in the social aspect of life. The extended family and groups of related families, form a natural channel for the emergence of respected elders and judges — the default mode for all societies where the State has made few inroads. For these reasons, governments seek to assume family responsibilities, to reduce families to an appendage of the State, and especially to undermine the natural head of the family, the father. For the same reasons, they subsidize and encourage libertine behaviour that destroys the competing institution from within. The ultimate goal today is to destroy the family, immediate and extended, by any means possible. This is one reason failure to honour father or mother and adulterous behaviour are treated so seriously under the Old Testament Law. The choice is simple: Family ties or bureaucratic shackles, the family or the State. There is no lasting in-between. The Old Testament Israelites knew that we were created individually in the image of God, not in a pagan pyramid-like State hierarchy of minions and masters. They knew they were descended from Abraham, who lived free of the States around him, was "very rich" yet not subject to any taxation, and who bluntly refused State largesse. They experienced 450 years of a stateless society in a world of tyrannies, after escaping slavery in Egypt. They heard the warnings from God contained in 1 Samuel 8 about idolatry of the State and the slavery it produces. But they, God's chosen people, still chose a King and all the officialdom that goes with it. We are told in the New Testament that events were recorded then for our instruction today. If there is one thing that 1 Samuel 8 underlines, it is the sovereignty of our human will — given to us by God. Though it was clearly not God's will and though it would have bad consequences, the people were free to choose. In honouring their choice, thank God that He did not abandon them completely, but in no way should it ever be said that government is ordained by God. Certainly there were problems under the 450 years of Judges, where "everyone did what was right in his own eyes" (i.e. they were free). But the following years of Kings were much worse in comparison — in fact, other than David and Solomon, finding a good king is a chore. Christians believe that the Old Covenant Law served to show us our need for forgiveness — the higher the standards we set, the more obvious this need becomes. That the Old Covenant had temporary animal sacrifices that were primarily symbolic and could never substitute for a human being. Yet under this covenant, Israel managed 450 years without a State, and even after that, the Kings were permitted only 10% taxation (OK, they took more anyway). If Christians believe that the only real sacrifice or substitute for our punishment was that of God the Son, our creator; if we believe the book of Hebrews that we are therefore in an even "better covenant which was established on better promises"; are we then to be more enslaved than even those under the old covenant? Governments today are consuming close to 50% of productivity. Their tentacles are intruding into every area of life. Are we to be worse off than those under an obsolete covenant? Must Christians now accept a condition of servility not only lower than the Old Covenant, but in effect, more like the ungodly nations around the Israelites? Some Christians claim the Israelites had a better relationship with God on earth than us, and so government is now necessary. Some strain over the narrow point that the State of 1 Samuel 8 was a monarchy, and does not apply to a modern democracy. But what is so holy about the Greco-Roman concept that gave us Hitler, and that has brought us to the edge of the economic abyss today? I prefer to follow the example of Gideon who, when offered power in the time of the Judges, said: "I will not rule over you, nor shall my son rule over you; the Lord shall rule over you". Christians are to be aliens — in but not of — the world system. But aliens also should also respect the natives, even if their choices are wrong. The Gospel does not require, for example, a Christian missionary to publicly violate every rule in a Muslim country and to publicly disrespect the people or even their leader. We may be free, but we don't win hearts and minds by deliberately creating personal offense. 1 Peter 2 does say that, for the Lord's sake, we should go along with men's laws. It says we should "honour" (Greek — value and respect) all men, and uses the same Greek word to include their rulers. But it and all similar passages also make clear that the ruler's permitted (rather than ordained) domain does not exceed the bounds of allowing right and punishing wrong. If God respected the people's choice to appoint a King, so should we. Change has to be voluntary. In the meantime, a limited government within boundaries is a better than an unlimited tyranny. We can live a "quiet and peaceable life" even in the meantime — but not if we continue to deify the State. The Gospel teaches that Christ came to set us free, to "proclaim liberty to the captives". Let's wake up and resist the evil tide that is rising on the earth. The Gospel has turned the world upside down before; but Christianity has also come into disrepute when absorbed into the State. The teaching of the Kingdom of God is still transforming lives, as many can testify — but let us not proclaim freedom only on the inside and slavery on the outside. Often, the book of Galatians is used to explain freedom from obsolete regulations of God's own Old Testament Law. Why then go on to teach servile submission to and actual support for the innumerable and much worse laws of modern "secular" governments? From the beginning, the State has always been the enemy of the church — by which I mean all Christians. But just like the devil its master, if the State can't beat us, it will try to join us. Let us refuse the State's application for membership in our churches and our lives. May Christians teach and preach the Kingdom of God — alone, and to the exclusion of all others. Paul Green [send him mail] provides internet and communications privacy services worldwide - and shares the Good News of Christian liberty from his website, SetFree.Now.im.